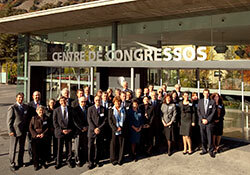 The Eighteenth Standing Committee holds its second meeting on 18–19 November, hosted by Andorra. Agenda items include the follow-up to the 2010 session of the WHO Regional Committee for Europe (WHO’s governing body in the European Region) and a draft agenda for the 2011 session. The 2010 Regional Committee expanded the Standing Committee’s membership from 9 to 12 Member States and gave it new roles and mandates.